Bethel Church in Bellflower is holding it's annual Community Resource and Health Fair this Sunday, March 27, 2011. The fair is open from 11am - 3pm and is free! The fair will provide free medical, dental, vision screenings, and massages. Spanish translation is provided. visited the vendor booths and got lots of pamphlets, free pens, magnets, etc. The church does a lot to make sure children are active and entertained while parents participate in the health screenings. Last year there were specialized tests for seniors to check for balance and stability. 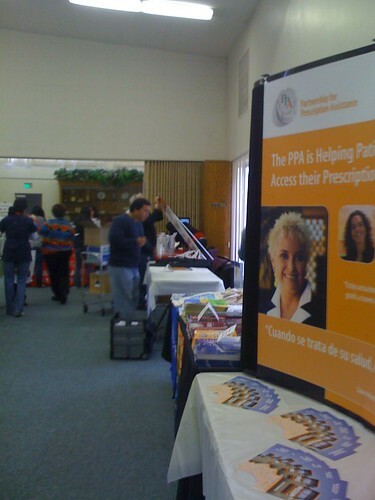 The health fair is a great place to discover new resources in the community. For more information call 562-866-0791.